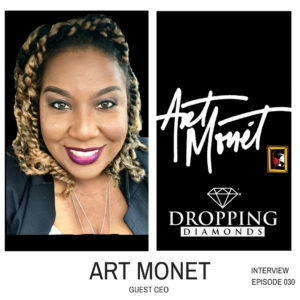 Look out Monday July 16, 2018 as Founder and CEO of Art Monet Consulting absolutely brings it and Drops some Mad Diamonds. Art is talking about being real and truly connecting with your audience, adapting to challenges as they come at you, and treating others the way you want to be treated. You definitely don’t want to miss this episode. Enjoy Familia!